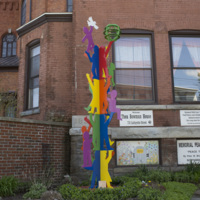 Peter W. Michel, “Peace Garden Totem,” Art Oneida, accessed April 20, 2019, http://artoneida.org/art/items/show/231. 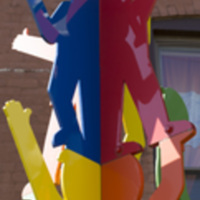 Description: Children in rainbow colors help each other climb to the top of this totem, assisting a white dove to reach the globe at the top. 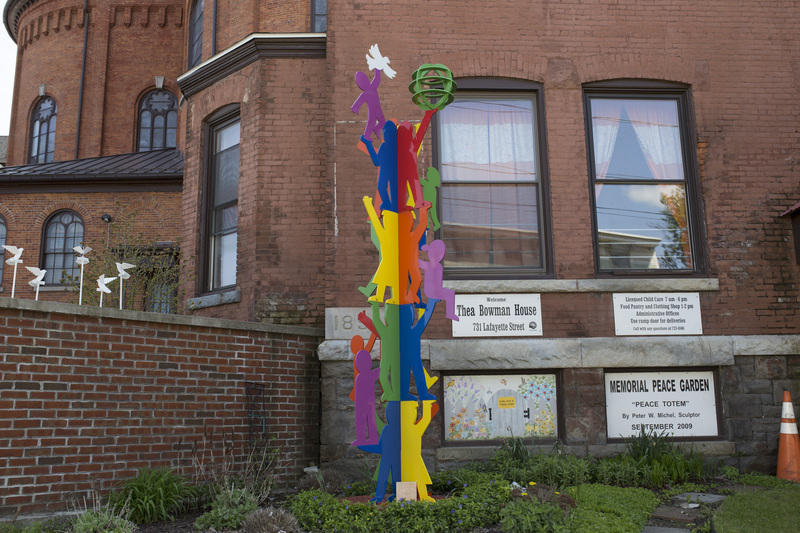 This expression of peace and support honors children who lost their lives to violence. 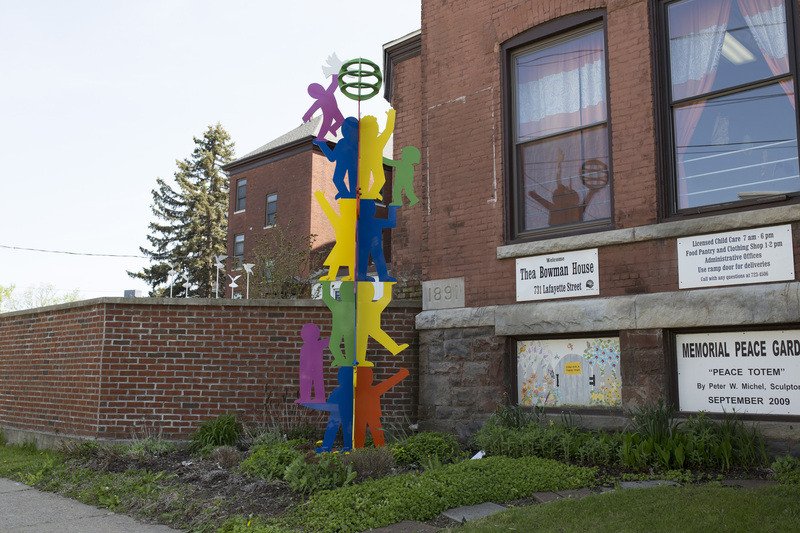 The bright totem helps to attract attention from passersby to the Peace Garden at the Thea Bowman House in Utica. 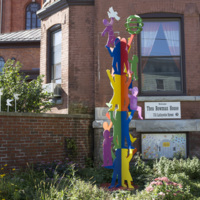 The garden was created after the murder of a two year old student left community members grieving. It is not just a place for people to mourn those children lost. 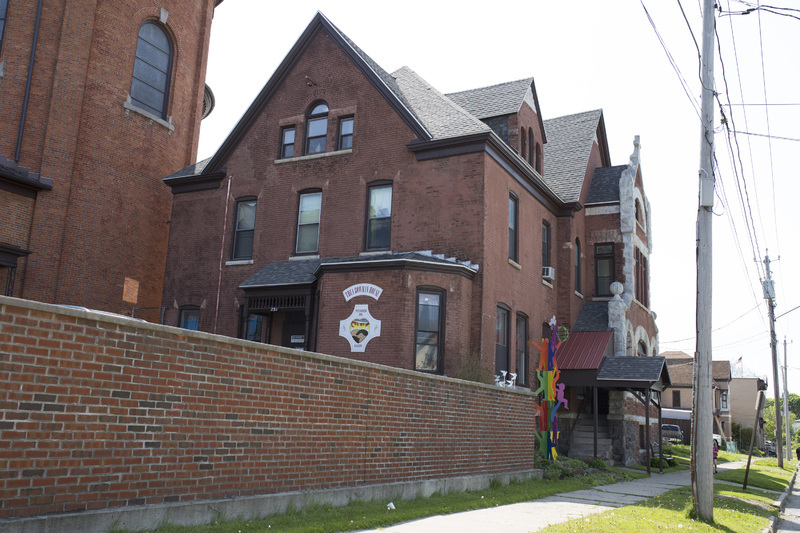 It is also a place to pause and strengthen their resolve, working on their own efforts toward peace for those who remain. 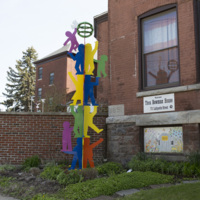 The children in the sculpture represent all people in the community, of all ages. 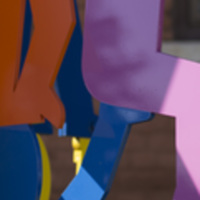 Their rainbow colors express diversity and vitality. 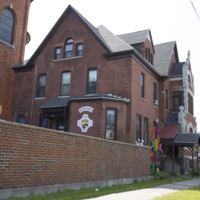 The globe shows that community members have the world in their hands. The dove at the top, and additional doves fluttering above the wall to the side, symbolize peace and hope for that world. 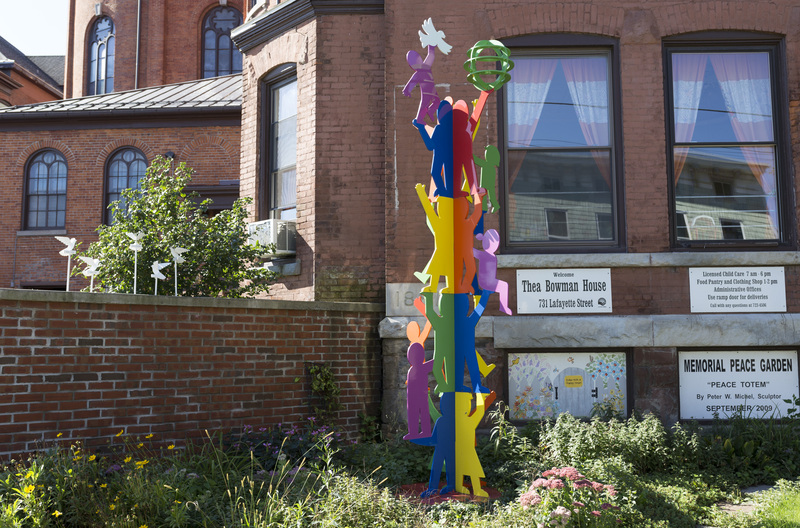 Syracuse-based artist Peter Michel created the twelve foot rainbow sculpture. He states, "Let this be a place of love and as we dedicate this place, let these symbols remind us of our own dedication to creating a peaceful place within ourselves, our families and within all of our communities - let these symbols reminds us too, that we can support each other to that end."